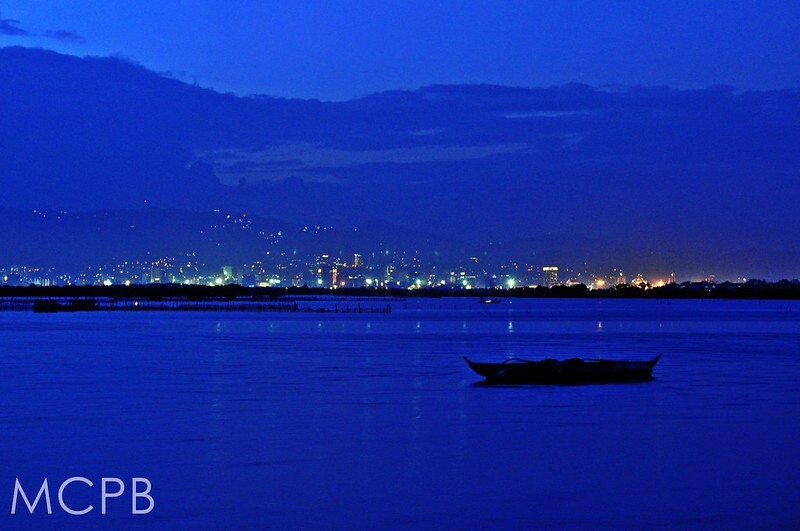 Cebu is a treasure chest of beautiful spots and wonders both natural and man-made. It has amazing beaches, mesmerizing rivers and waterfalls, beautiful modern structures, and breathtaking age-old churches and temples. But every once in a while, a new attraction pops up out of nowhere that interests even the most detached and listless. 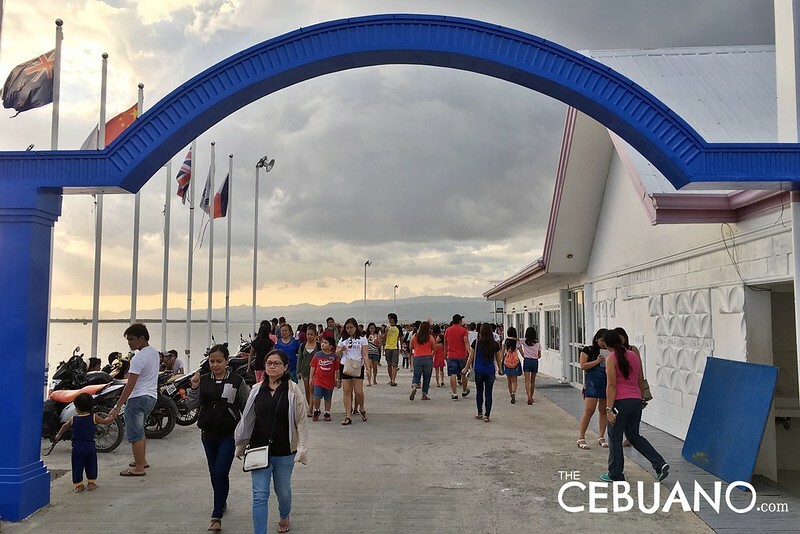 In the past, Cebuanos witnessed the sudden influx of local and foreign tourists when it was discovered that Oslobanons had giant whale sharks in their waters. Then, the hills of Busay saw an unexpected rise in foot traffic when the Temple of Leah was finally opened. And who would forget Barangay Sirao in the highlands when it was barraged with swarms of tourists hoping to get a selfie with the Celosia flowers? 10000 Roses Cafe is located at the end of the Cordova Tourism Center in Day-As, Cordova. 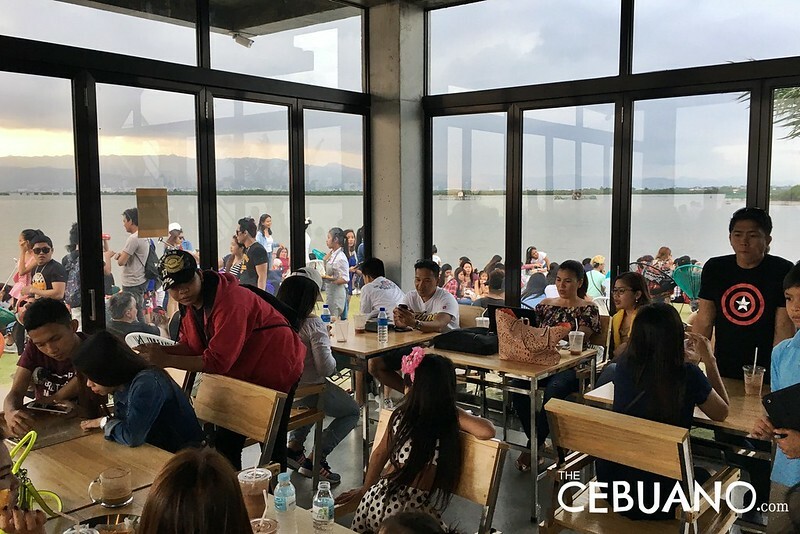 Just a stone’s throw away from the famous Lantaw Floating Restaurant, the 10000 Roses Cafe is around 3 KM from the main road (Cordova proper) and just 30 minutes from the first Mactan Bridge. 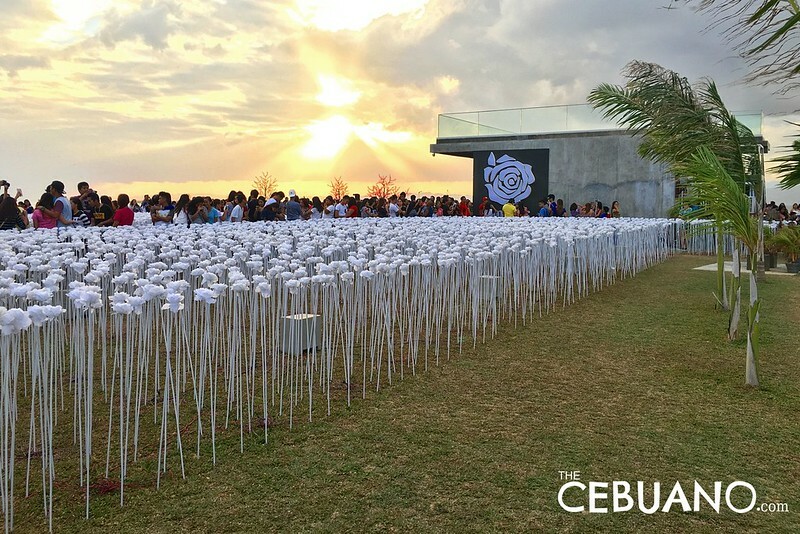 The 10000 Roses Cafe is a small concrete structure located at the end of the Cordova Tourism Center. 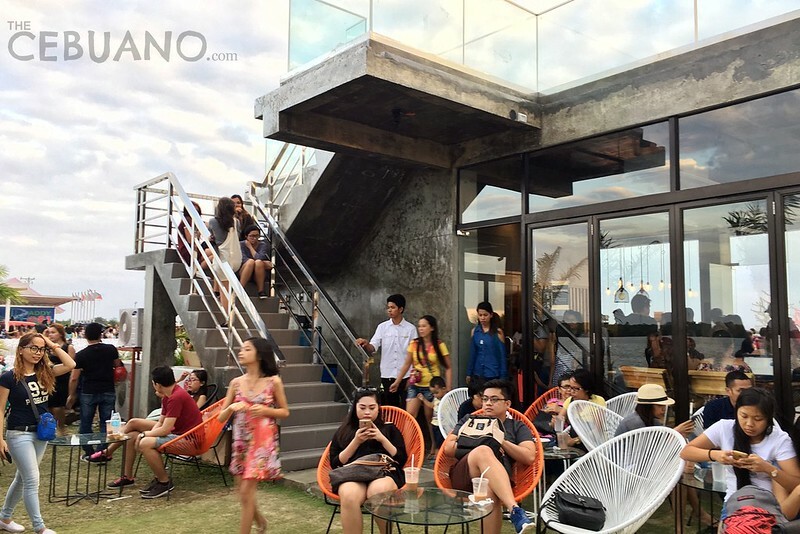 The two-storey cafe has an air-conditioned area as well as huge spaces for al-fresco diners and guests. 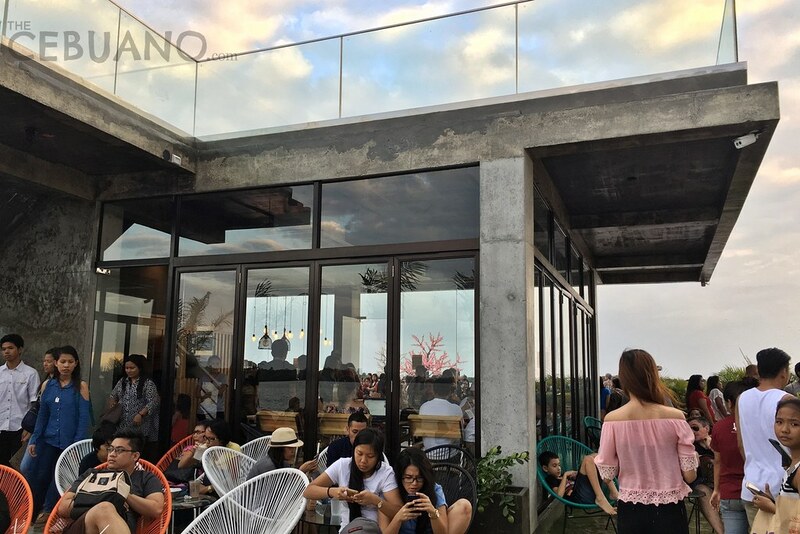 The cafe, which rocks a modern industrial look, also has a roof deck which offers an amazing view of the ocean, the Cordova mangrove forest, and the ever-changing skyline of Metro Cebu. 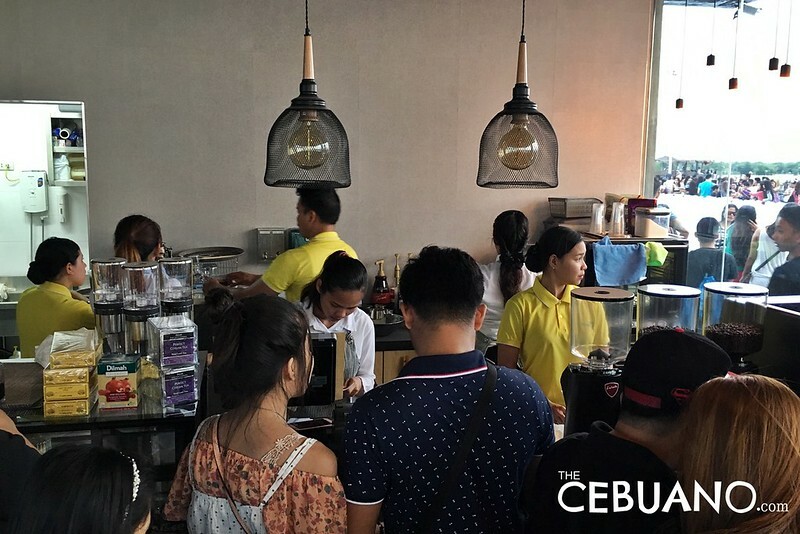 Guests at the 10,000 Roses Cafe can enjoy an amazing view of Metro Cebu. 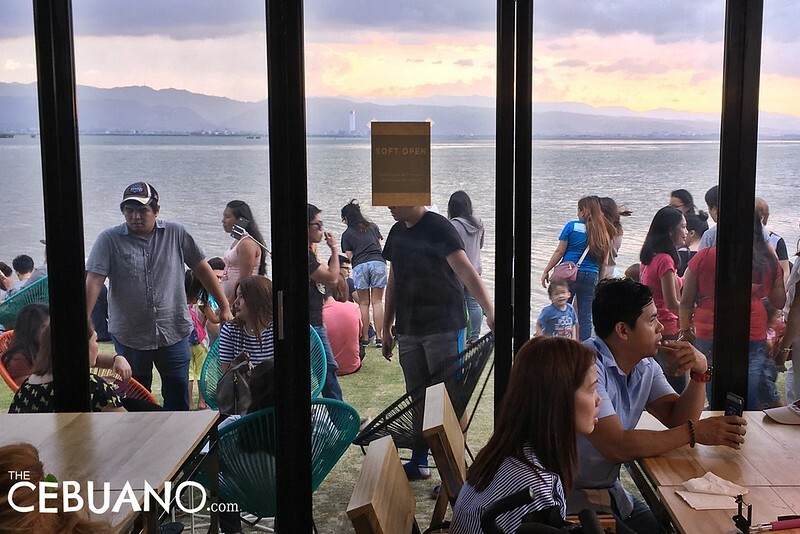 Since the cafe is sitting at the edge of the water, the view is unobstructed. After dark, the view from the cafe’s rooftop deck and back patio becomes even more jaw-dropping as the skyline illuminates and sparkles. Late afternoons and early evenings are perfect at 10,000 Roses Cafe. The soothing cool breeze from the ocean is a welcome respite from the horrible traffic as well as all the random stresses of city living. If you want a quick break from it all without having to travel very far, the 10,000 Roses Cafe is an excellent option. 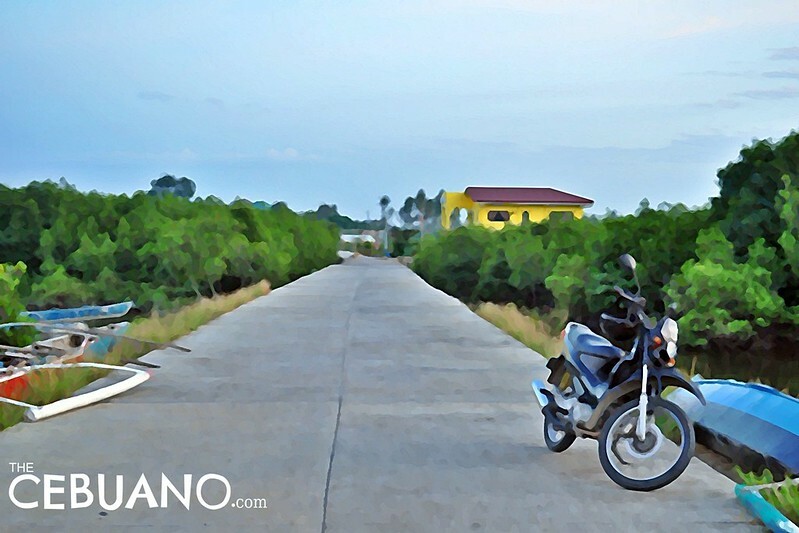 The cafe is several kilometers away from Lapu-lapu City. But there is no need to fret. 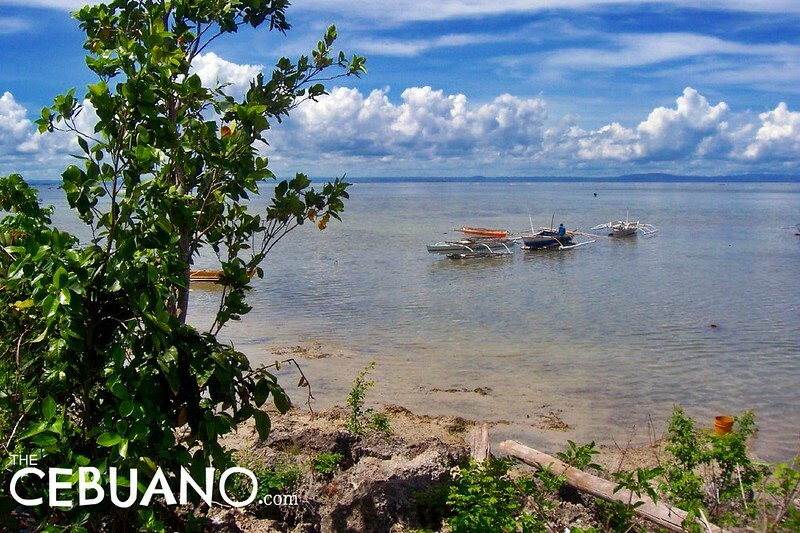 Several jeeps can take you from Lapu-Lapu all the way to Cordova proper. 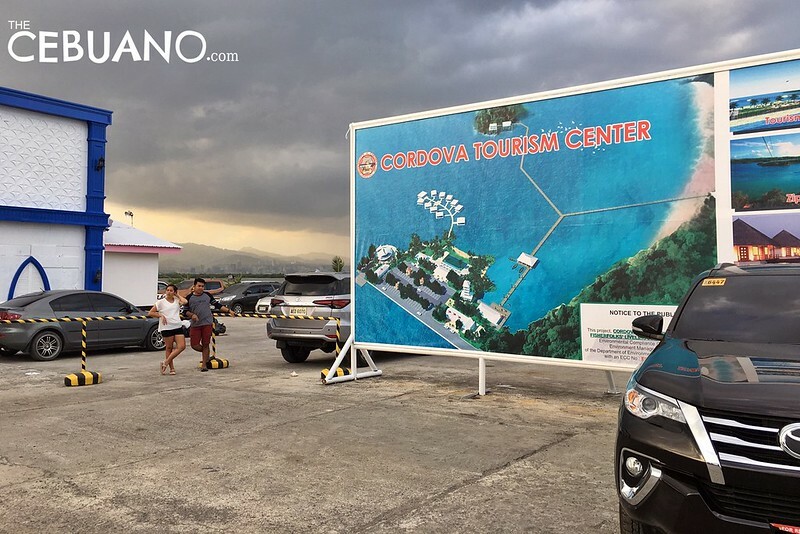 Once you reach Cordova, you can then, get on a trisikad, a tricycle, or even a habal-habal. The trip from the main road to the cafe is short so you wouldn’t have to spend a lot. 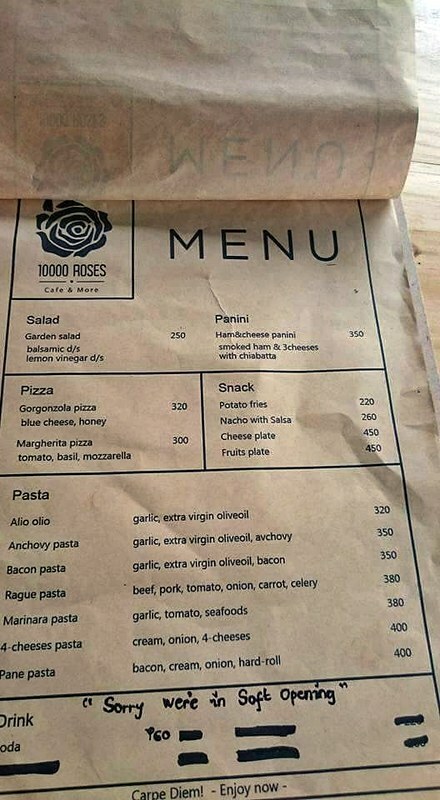 10,000 Roses Cafe is currently in the soft-opening phase. This means that the menu is (probably) still being improved and some services may still be unavailable. This could also mean that some additional coffee and food items will be added to the menu in the coming days. The selling point of the cafe are the fields of white roses on both sides of a concrete foot path leading to the main dining area. The flowers are about 3 feet tall and are made of plastic. 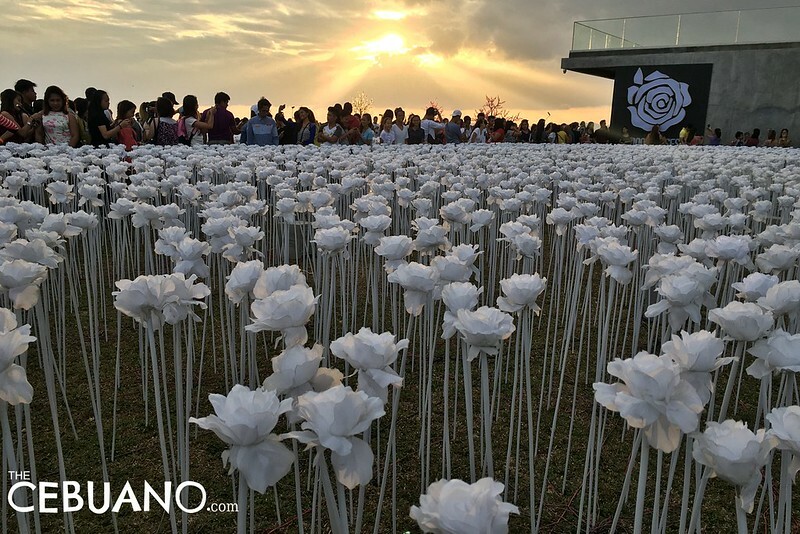 When viewed from certain angles around the area, the two parallel fields could look like endless fields of white blooms. At around 6 pm every night, the while roses transform into magical bright blooms. 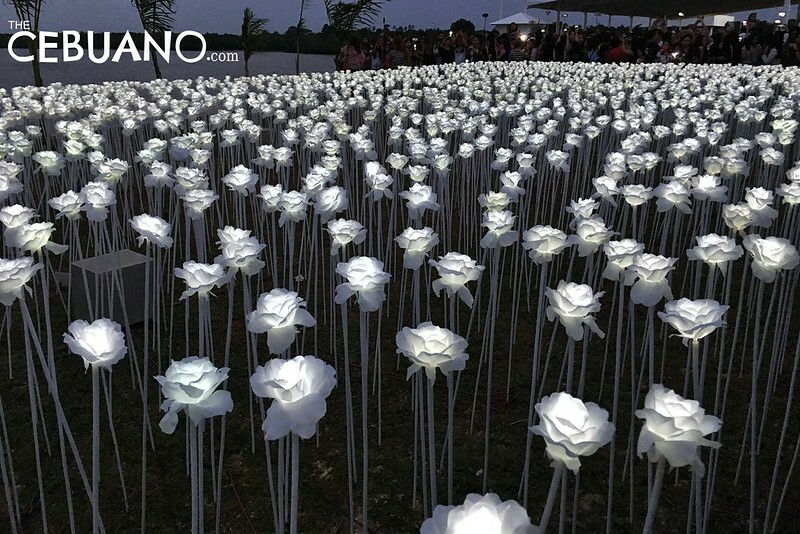 Each flower lights up and becomes part of a huge blanket of while lights behind the cafe. At the center of it all is the very bright gigantic flower piece neatly glued on the wall of the cafe. 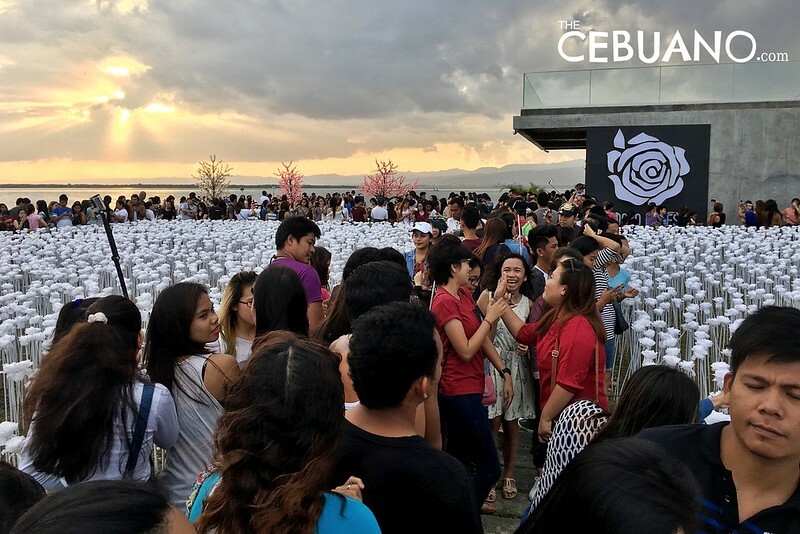 As expected, throngs of curious and eager Cebuanos arrived in Day-As, Cordova to see what the fuzz was about. 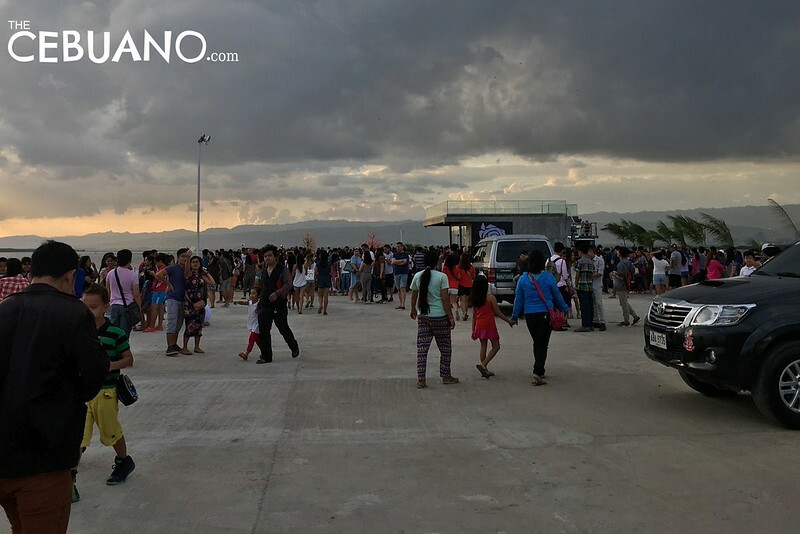 During the cafe’s first weekend, thousands of guests from various parts of the metro visited the cafe to dine, take photos, and see what everyone is talking about. 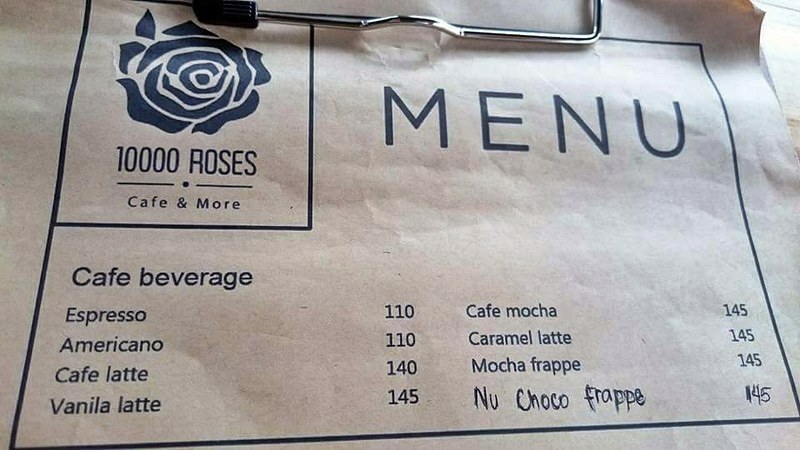 Have you been to 10000 Roses Cafe? How was your experience? What did you think about the food and service? Let us know in the comments below! Disappointing kaayo ang behavior sa uban nga pasaway. Mao ning dili gyod molambo ang Pilipinas! Hahaha. Am here because I was curios. But lo, before I could go inside the cafe, the guard stopped me to asked if I was going to order or not! That was so impolite and not good for tourism and would-be clients! When I asked to talk to the manager or supervisor or in-charge, the cashier said that there is none. And told her my comment/complaint.! If the cafe wants to make sure that their clients can be seated inside their airconditioned cafe, they should look at expanding! Am here because I was curios. But lo, before I could go inside the cafe, the guard stopped me to asked if I was going to order or not! That was so impolite and not good for tourism and would-be clients! When I asked to talk to the manager or supervisor or in-charge, the cashier said that there is none. And told her my comment/complaint.! If the cafe wants to make sure that their clients can be seated inside their airconditioned cafe, they should look at expanding! And, not stop customers/tourist from getting inside the cafe! Not a good strategy! I give this cafe a year or two to stay open, if they will not stop what they are doing. Are they open @ 7am?? 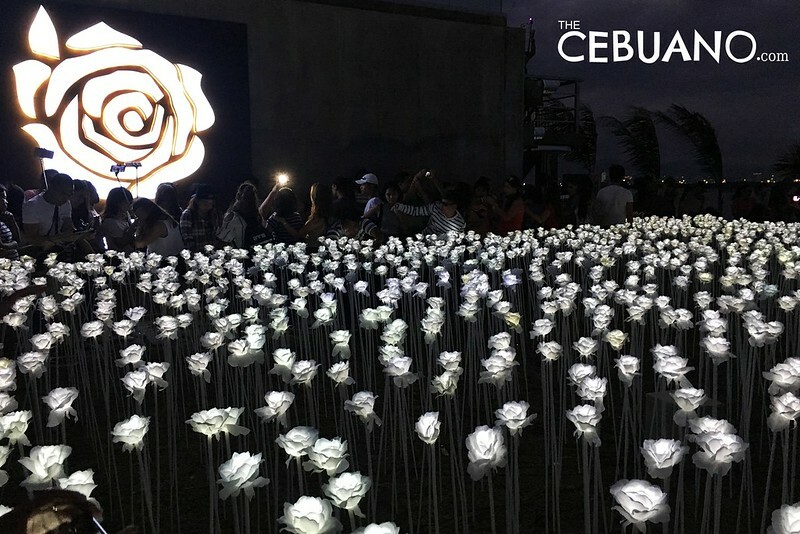 I mean kahit yung place lang not the café,we only have 5 hrs in Cebu,so keri ba mkapa drop by sa 10k roses?? ?